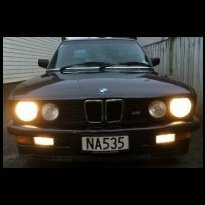 matte_E30 had the most liked content! how much and is it lowerd? Hey I'm after a E36 cold air intake flange kit for my newly acquired 94 325i. Any out there? And what other mods will free up some of the m50s power? Do you want Asymmetric tyres or dose it not matter what tread patturn? I have a couple of options available. Thanks to some sh*t head last night at Countdown Botany i now have a fresh dent in my Rear LH door. Not a small dent either, its as if someone fell into it.